The moment of the bride and her bridesmaids getting ready. Imagine that most of the bridesmaids are either sibling, or best friends that the bride has known most of them maybe as early has childhood, or high school or college, that is a lot of time. Capturing those moments for me to represent the best wedding photograph in Charleston, with emotion and laughter is what this image is all about. It took 4 bridesmaid and lots of laughter, good vibes, great emotion and love for the bride, while they were getting her ready. I am not a wedding artist photographer that poses my clients, or bridesmaids in this case, but more of a wedding photographer with one eye barely on the viewfinder, while the other eye is looking for something that I may be missing. I enjoy moving around and not being at one place, being observant. You see having and giving your clients different angles images, from that session is a good thing. That is why they make such a huge investment, for a wedding photographer to capture those moments, the fact that they all are enjoying the moment and not being posed, makes this image different, the angle as it is captured in high above also does a lot to enhance to quality of this image. 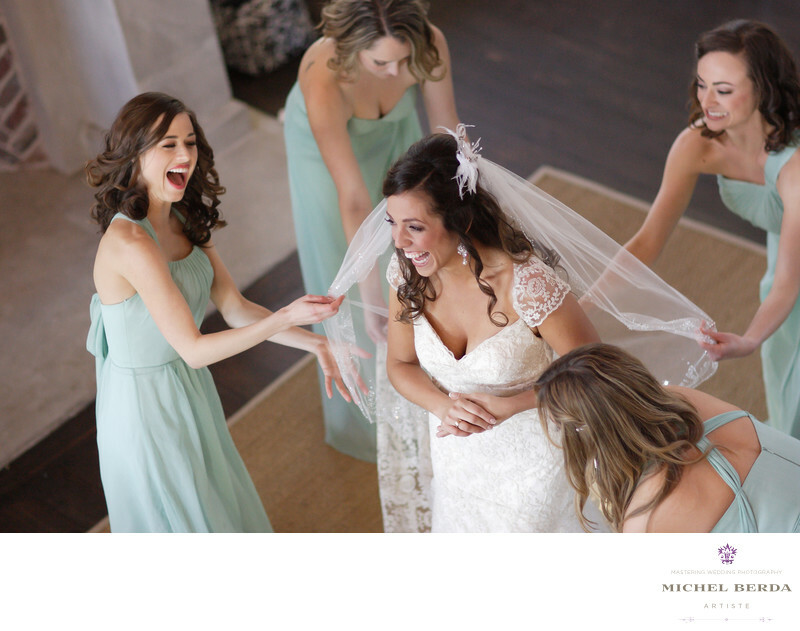 I love the true bonding and laughter of the bridesmaid and the bride in this image, this is why I am known as to creating the best wedding photographs in Charleston, Sc. Keywords: Destination Wedding Photographer (117), Murdock Castle (6), sc (309), Sullivan Island (6), Sullivan Island Sc (6), Wedding photographer In Sullivan Island (6), Wedding Photographers (198), Wedding Photography (123), Weddings (168).